This, the shortest route from a roadhead to the summit is now only used in descent. 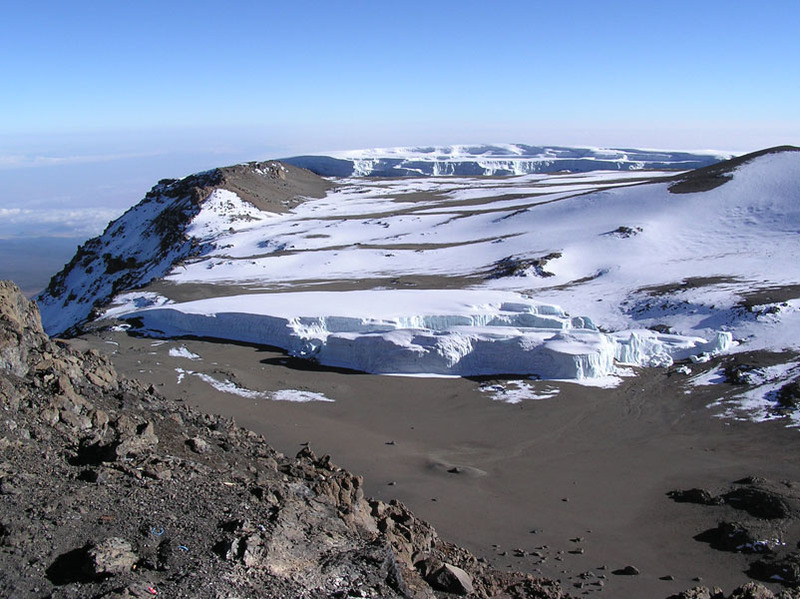 The upper section to the summit is called the Barafu (Swahili - ice) Route. It is normally descended having approached the mountain by the Lemosho, Machame, Umbwe or Shira Routes. 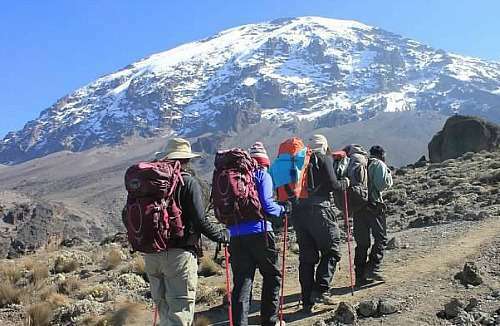 These routes are linked to the Barafu-Mweka Route by the high-level traverse beneath the Southern Icefields, the Kibo South Circuit. 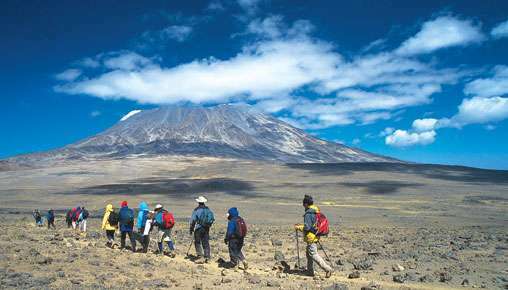 This traverse is one of the more scenic walks on Kilimanjaro. After coming down from Uhuru Point to Barafu Camp, even after a good rest, the descent from Kibo to the Mweka Huts is quite long and tiring. It is possible to break this section and overnight at the Millennium Camp instead. A very direct and fast way down the mountain providing limited views across the Southern Glaciers. The track in the forest is often impassable even to 4WD vehicles. Beyond the roadhead the path is steep and slippery in parts. Above the Mweka Huts water must be carried. 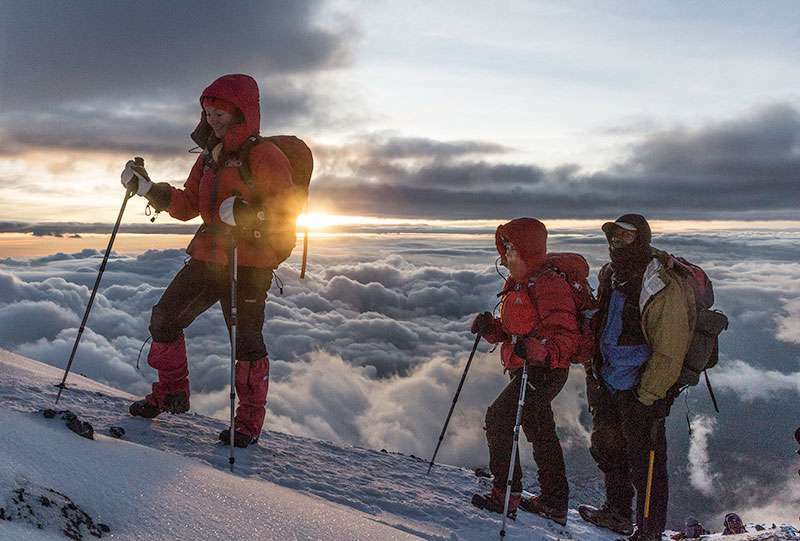 Sometimes a long walk is required at the Barafu Hut to find snow or ice for water. Selecting a route is a tough choice for most. Considerations should be taken for the route's scenery, difficulty, traffic and its altitude acclimatization characteristics, as depicted in the table below. 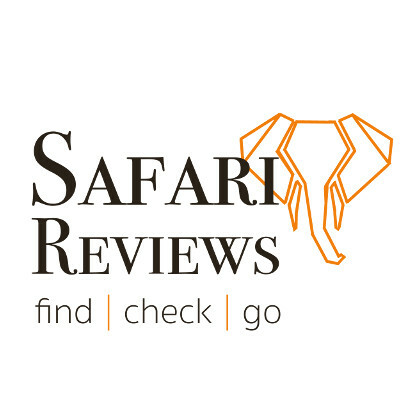 Experience Zanzibar Tours & Safaris has assigned overall ratings to each route. The accommodation on the way up and down is strictly camping with mobile tents. 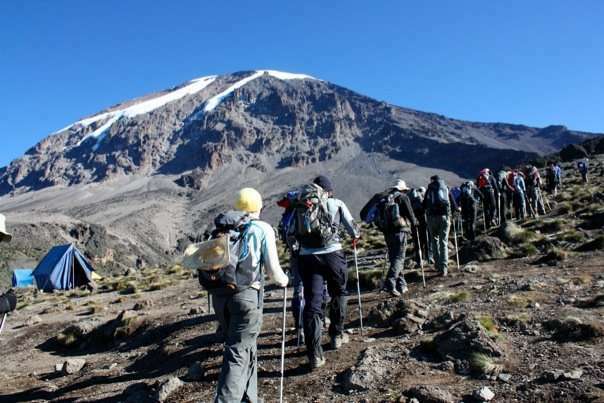 In comparison to the Marangu Route, this one is more strenuous and is designed for more adventurous hikers.